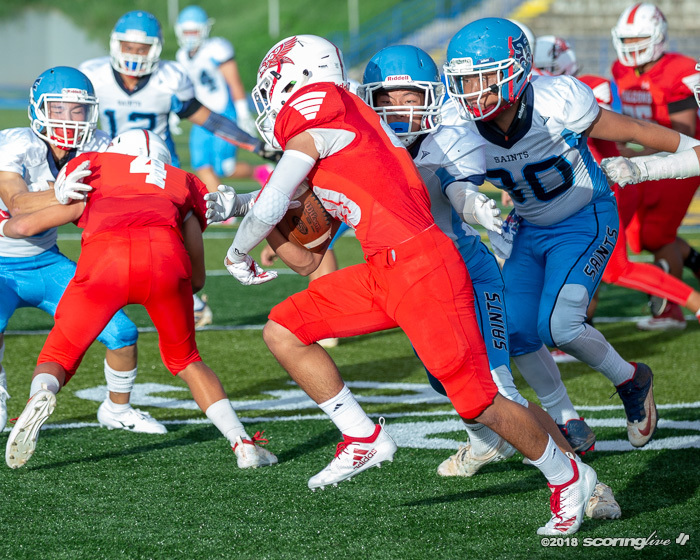 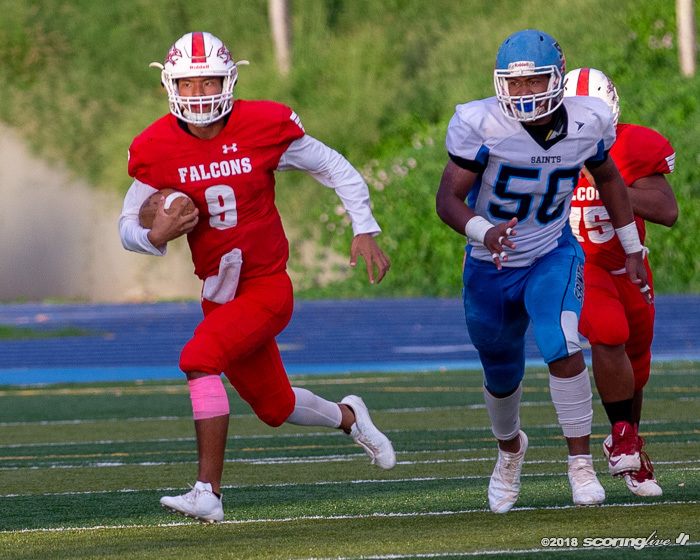 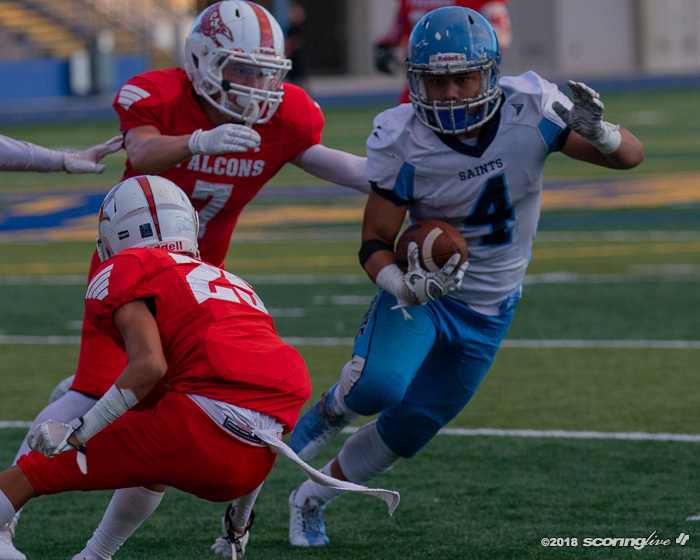 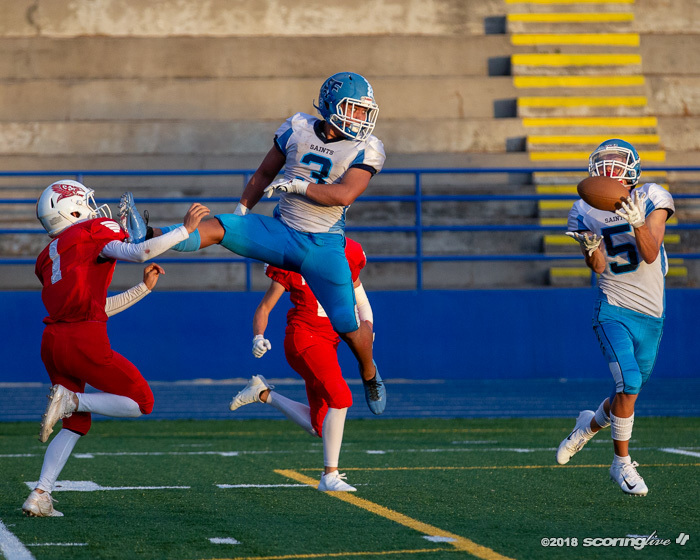 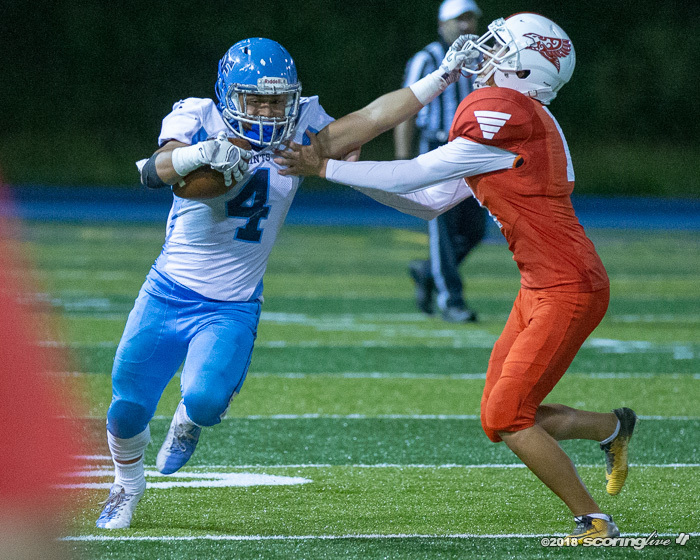 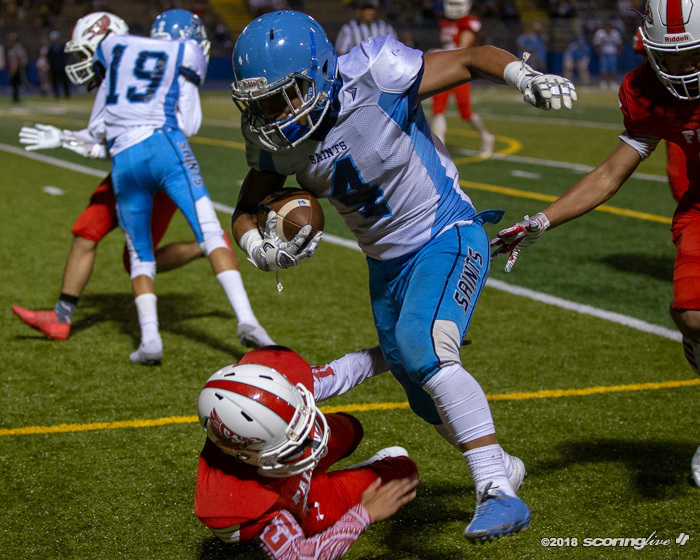 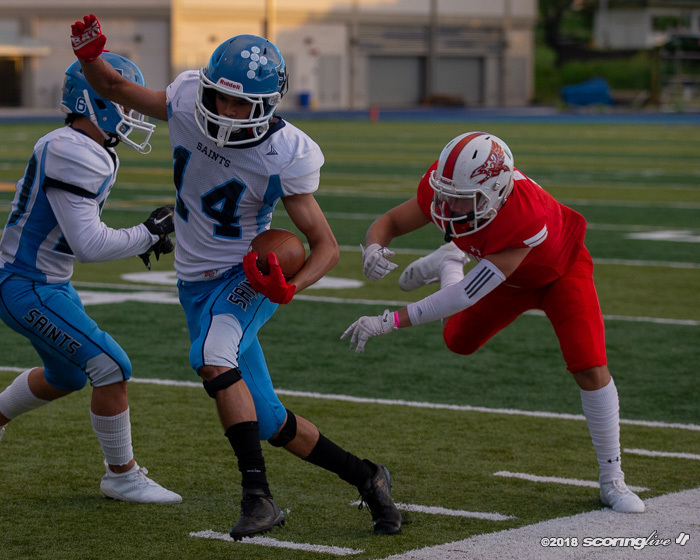 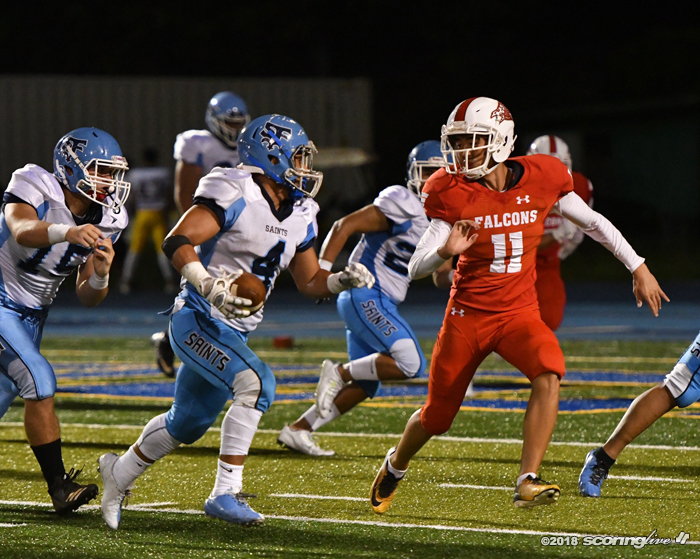 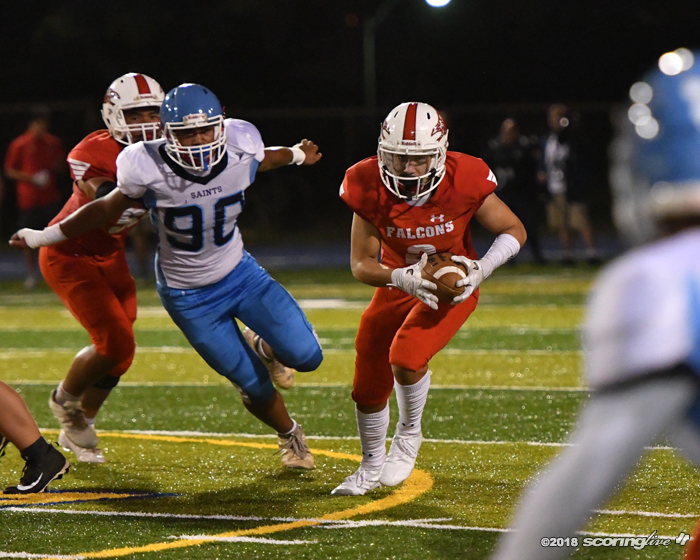 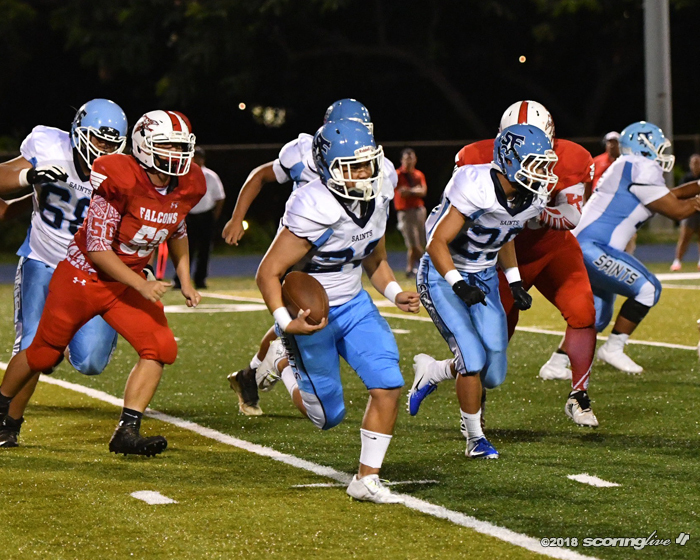 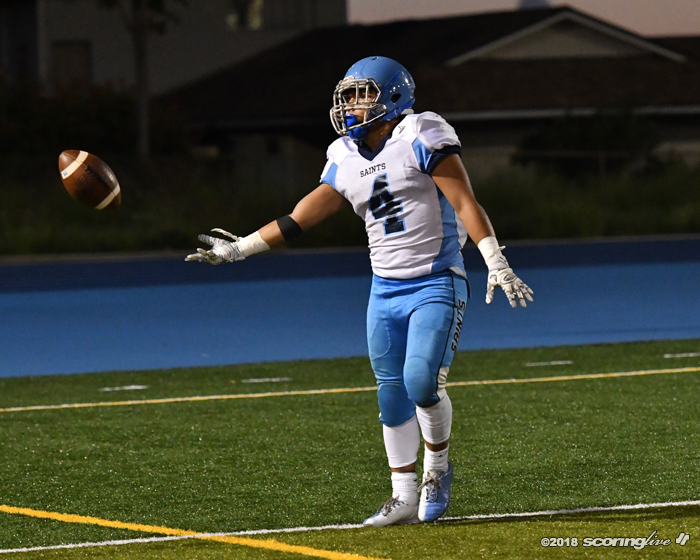 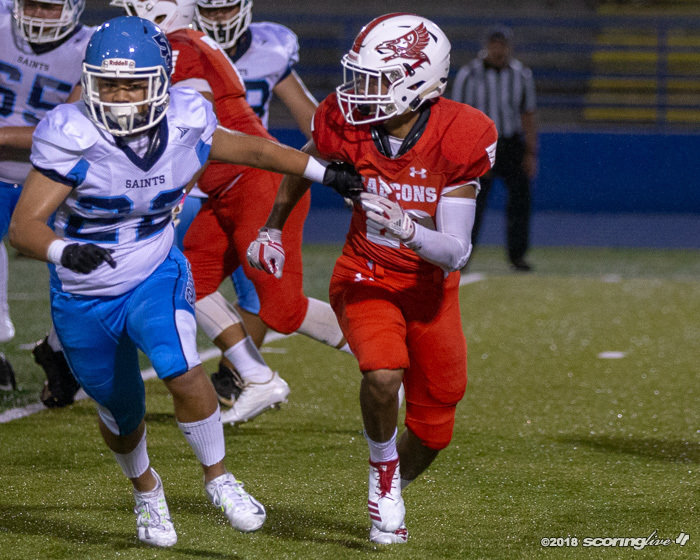 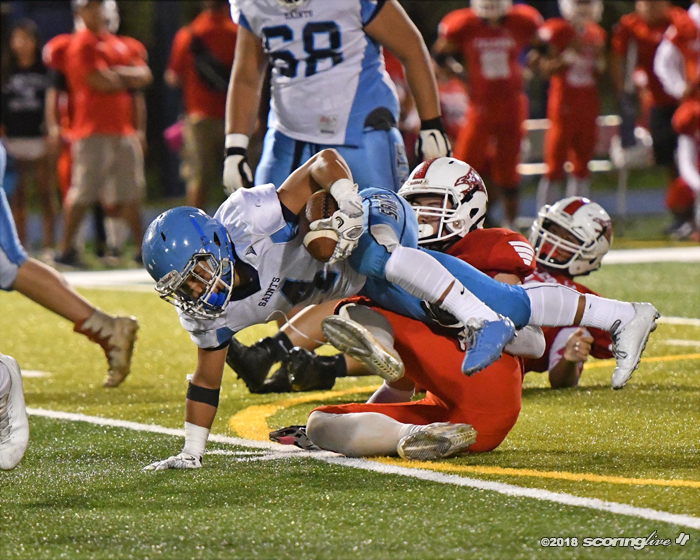 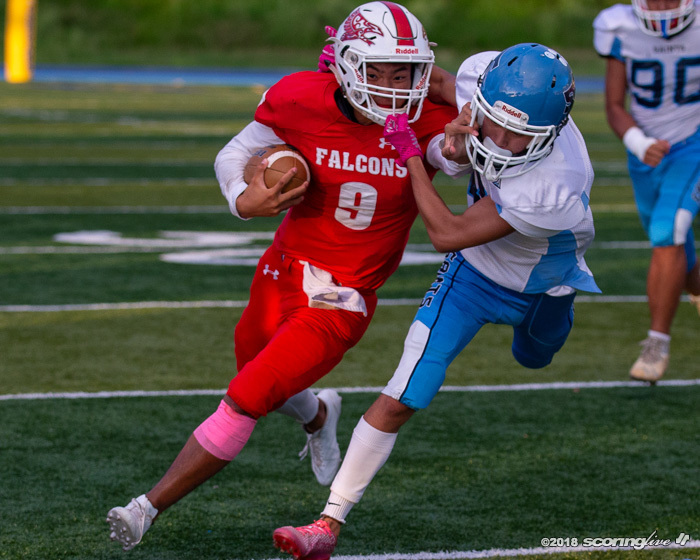 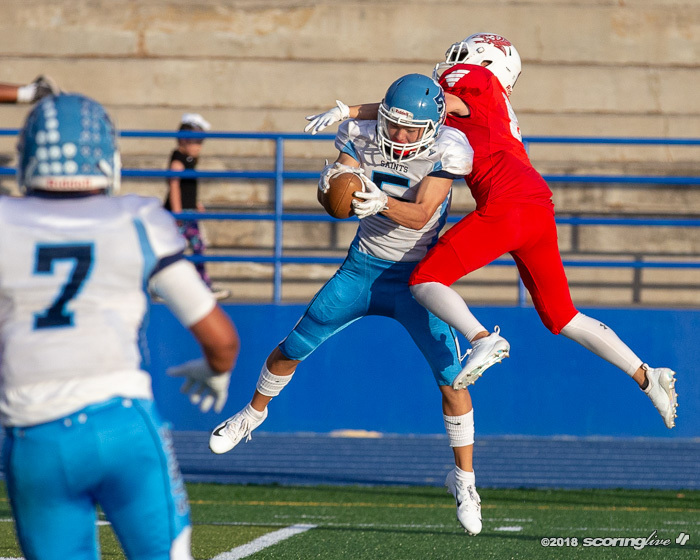 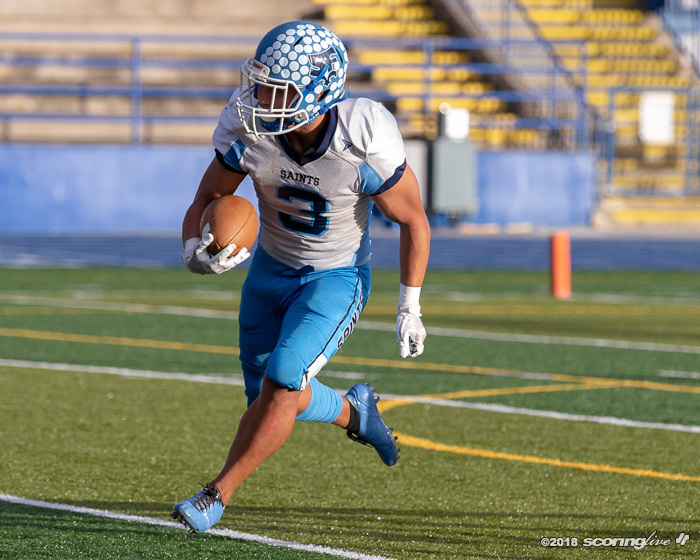 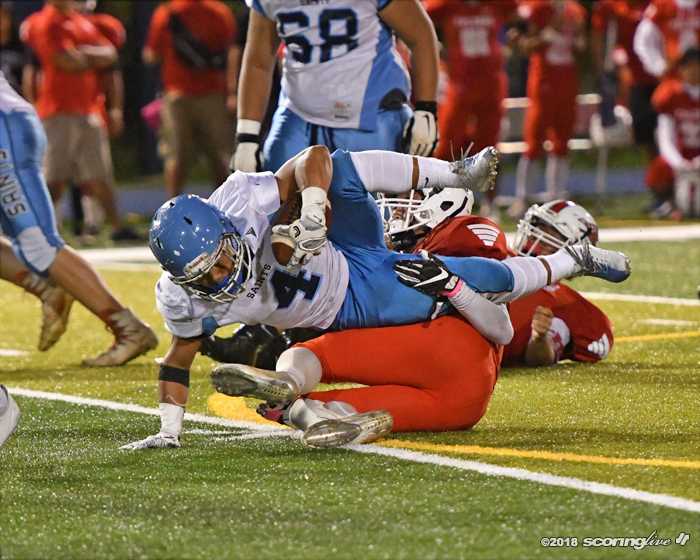 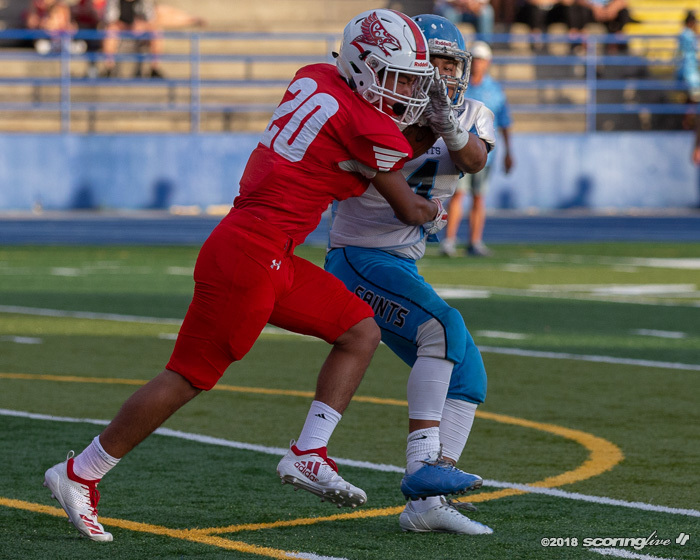 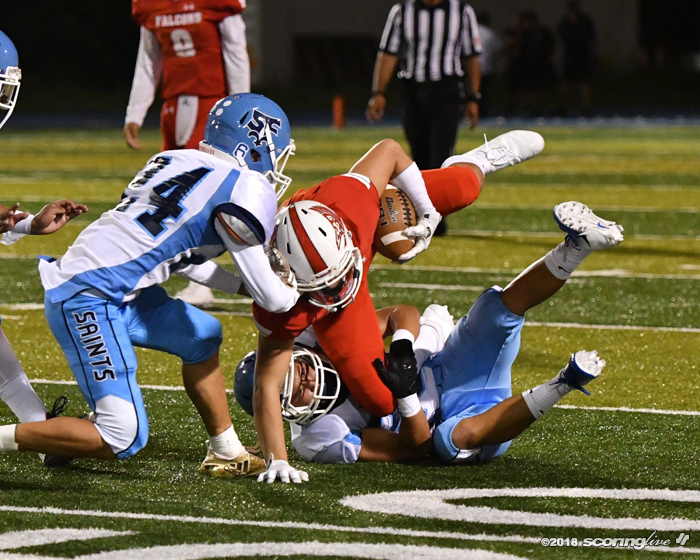 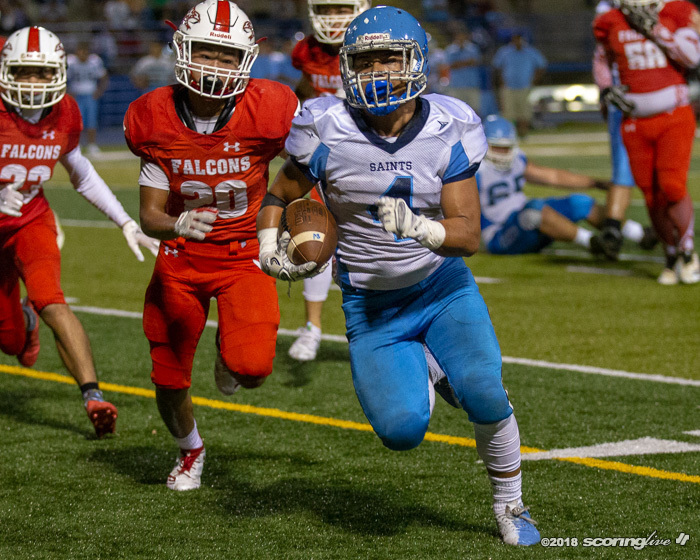 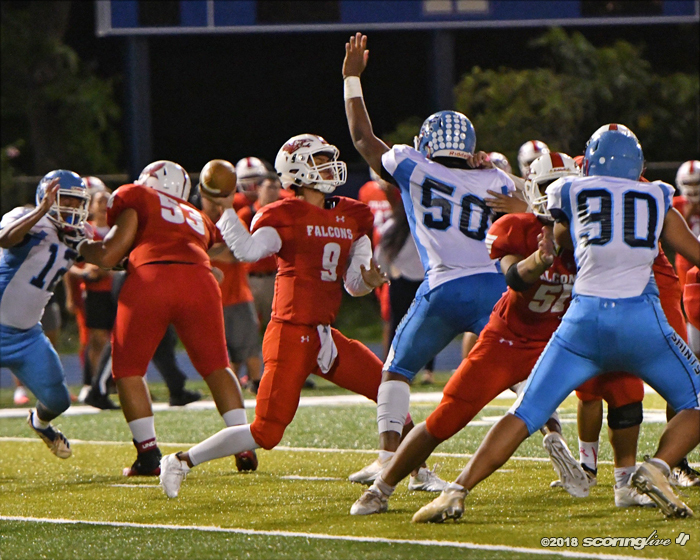 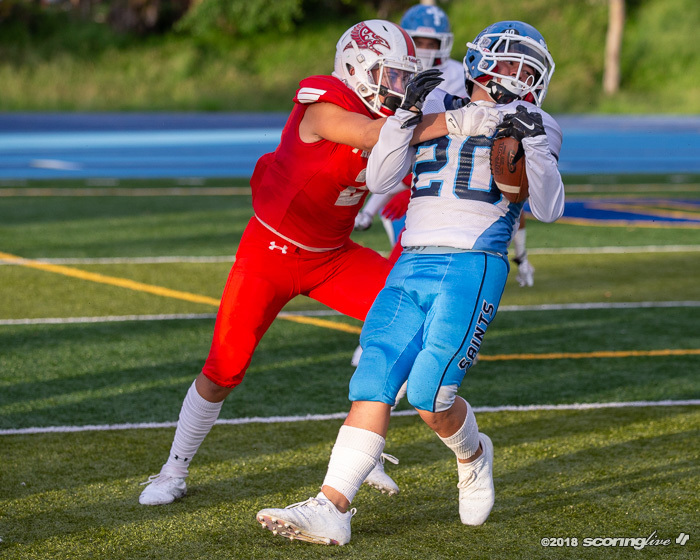 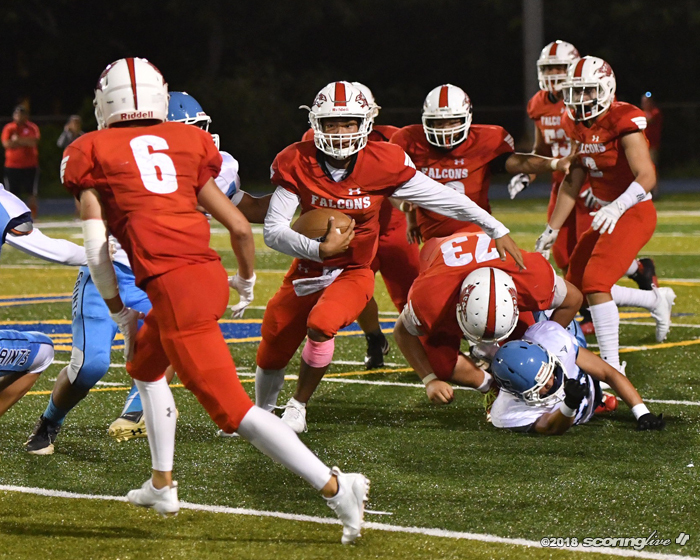 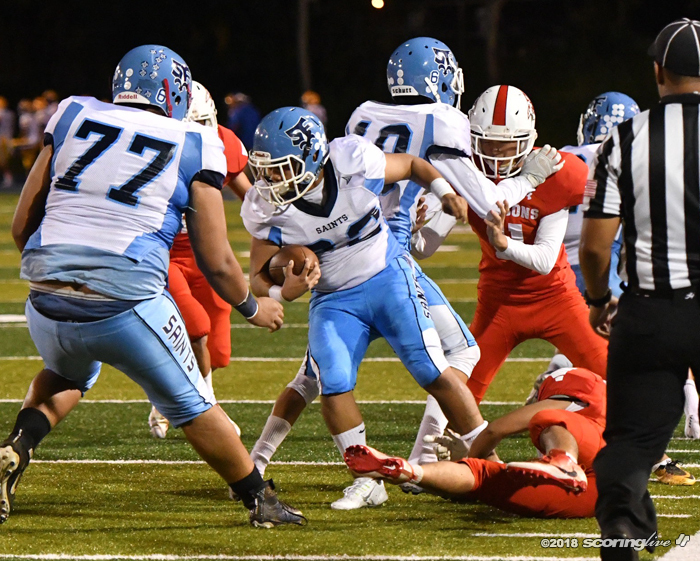 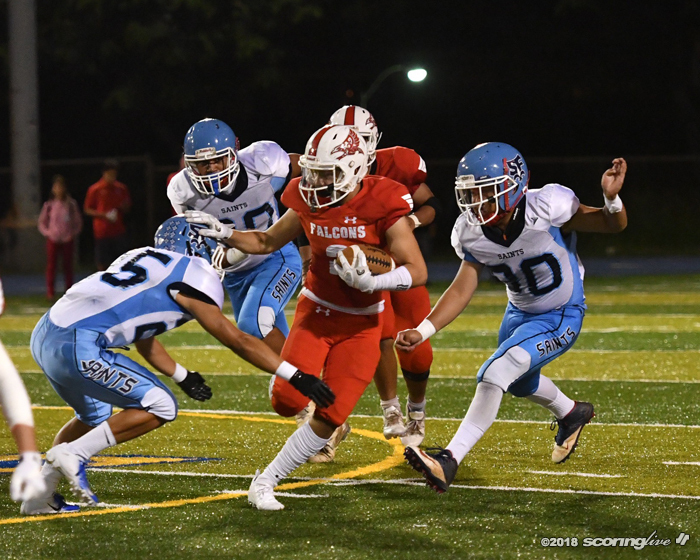 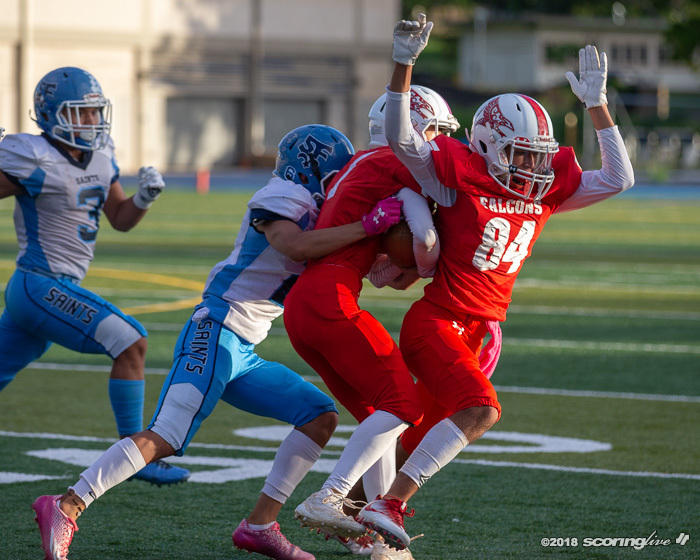 Saint Francis earned its third shutout win of the season to improve to 8-0 overall and 7-0 in league play with a 52-0 win over Kalani at Kaiser's Ted Fukushima Athletic Complex Friday night. 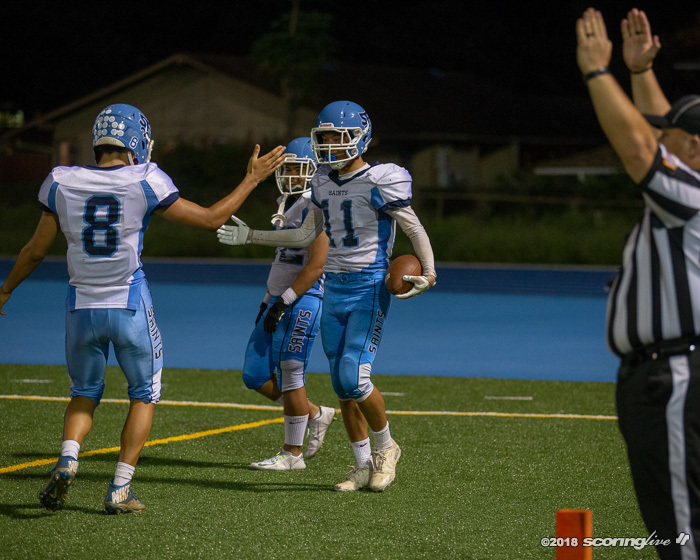 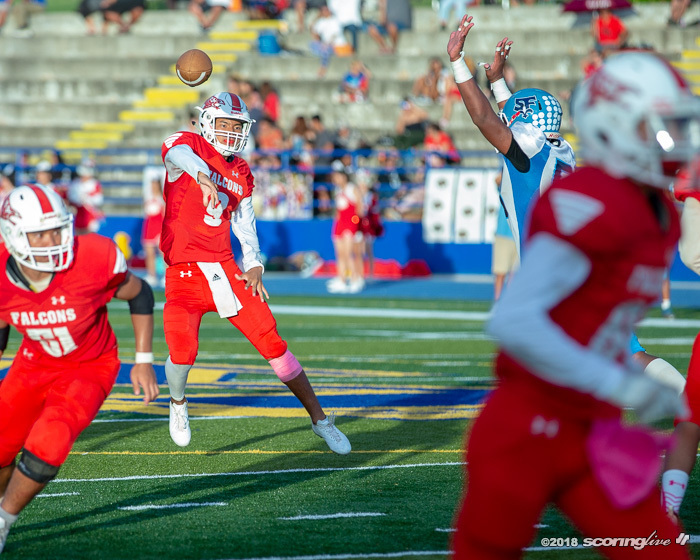 Senior quarterback Bubba Akana completed 13 of 16 passes for 224 yards and three scores and added another on the ground to lead the Saints in the win. 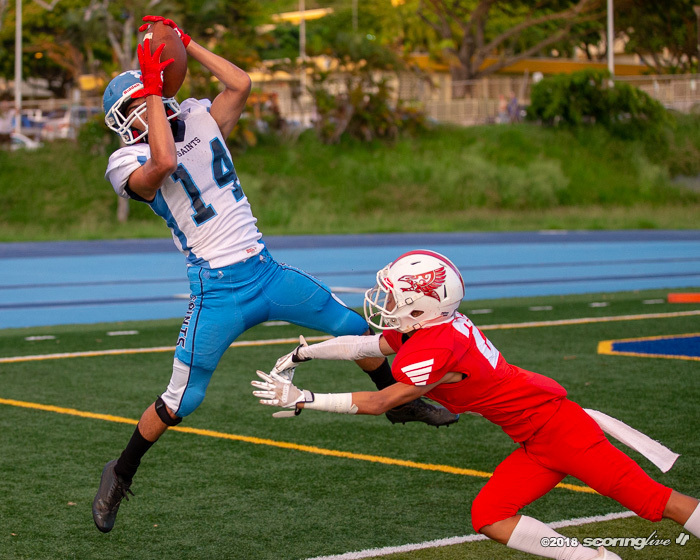 Kordell Ng was his favorite target with four receptions for 90 yards and two touchdowns. 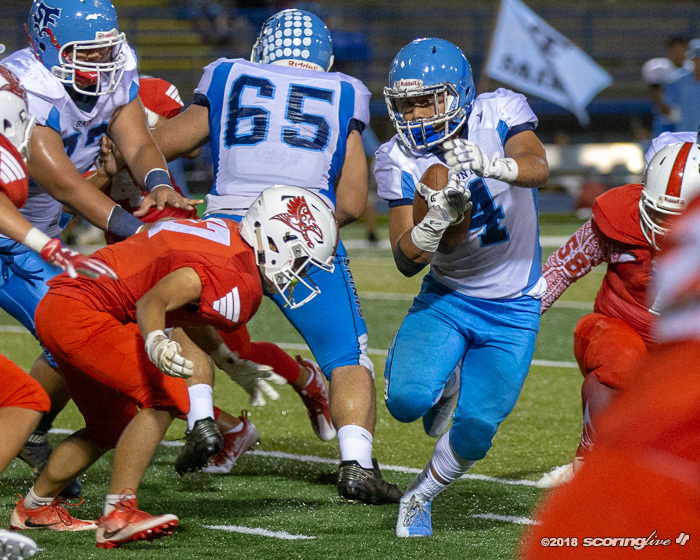 Running back Jonan Aina-Chaves was also big with 14 carries for 189 yards and three TDs. 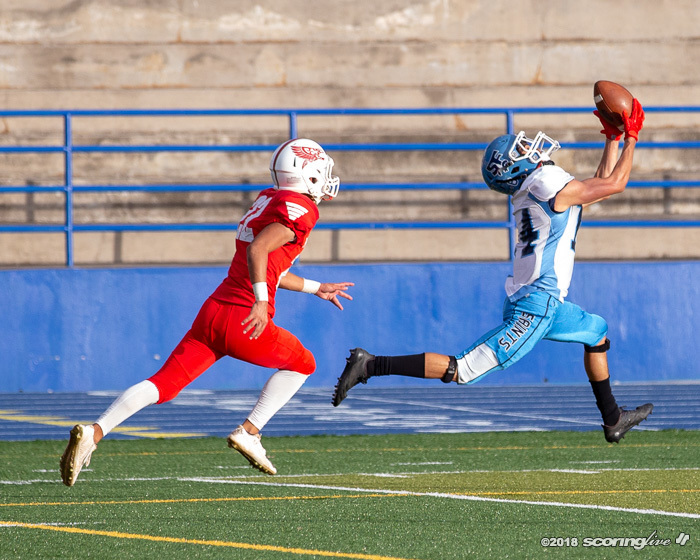 He also ran in four 2-point conversions. 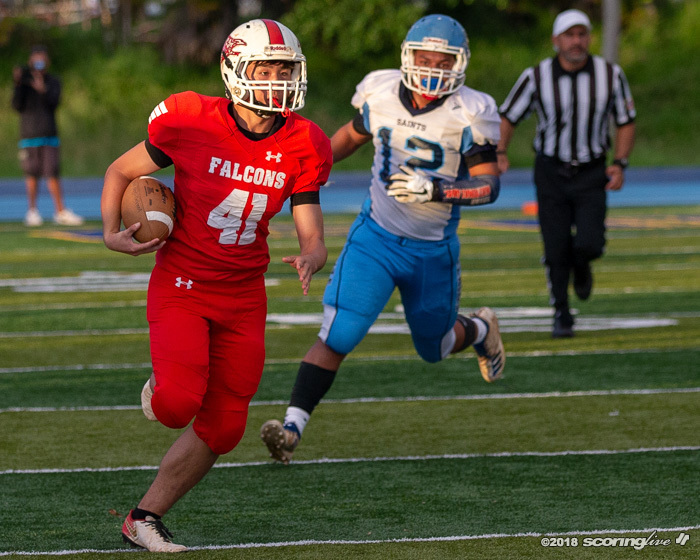 The Falcons (2-7 overall, 2-4 league) were held to 181 yards of total offense in the loss.